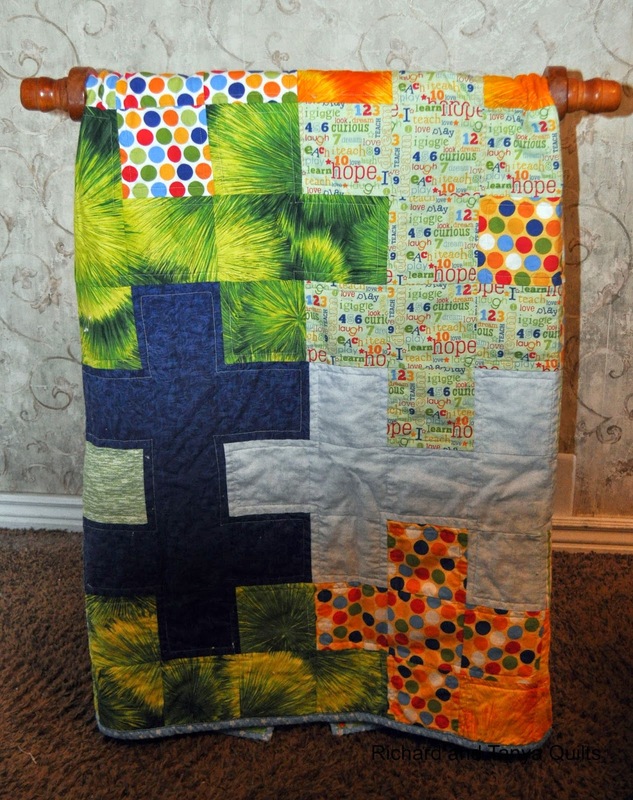 This is a puzzle quilt that was for the Autism Gala at Jared's school. It is the third one we have donated. 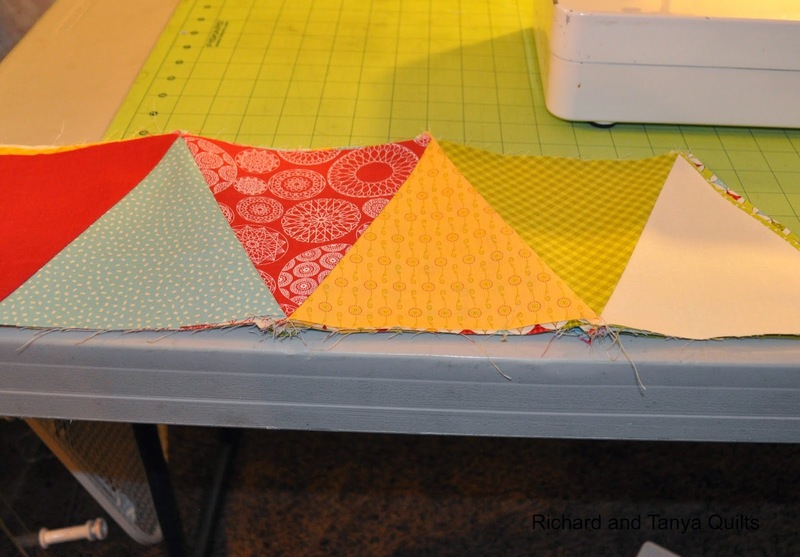 The fabric for the top was leftover from other projects or from stash, with the exception of two fat quarters. This was pretty close to a first for us, since we tend to rush to the store for everything. 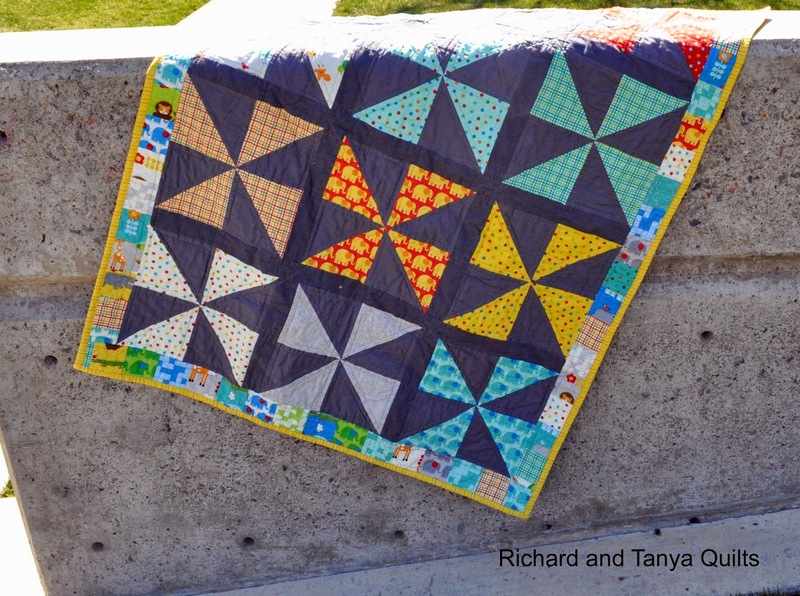 Both Richard and I pieced the top. 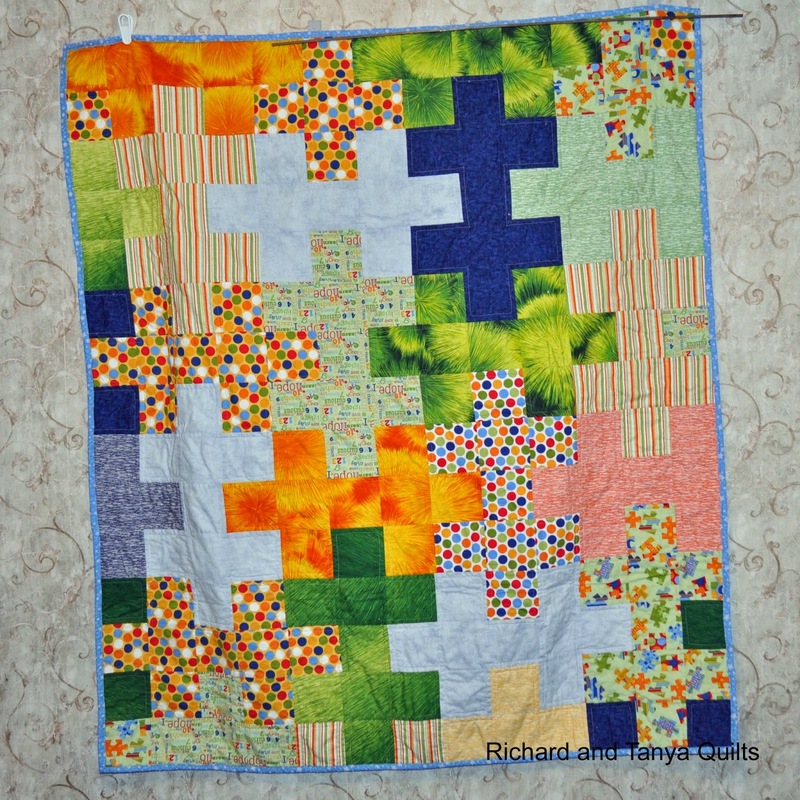 Richard did quilt it as usual. 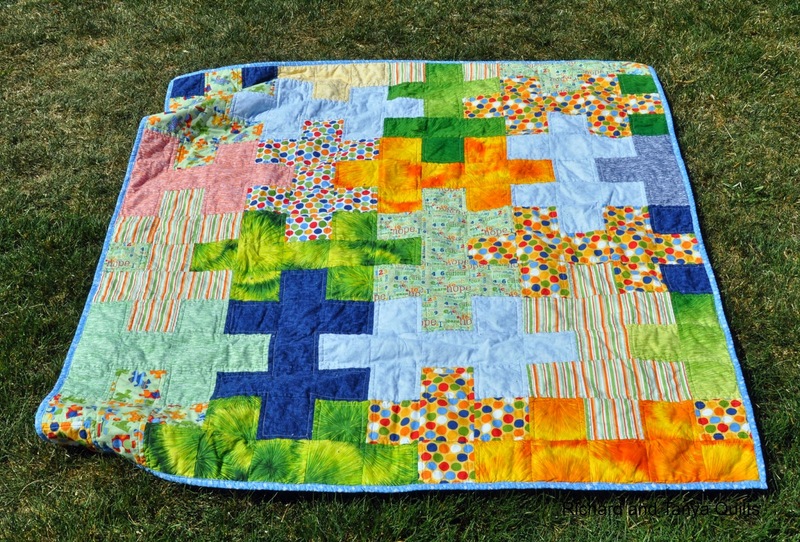 He did straight line quilting, but echo quilted along each of the puzzle pieces. We took some pictures over the weekend, experimenting with the black backdrop. We are trying to decide what color does best for pictures. Does the black look better, or the white we took a few weeks ago? I know there are wrinkles, we should have ironed it. Of course Julia thought we should get some of her too. Maybe non moving objects are easier to photograph. 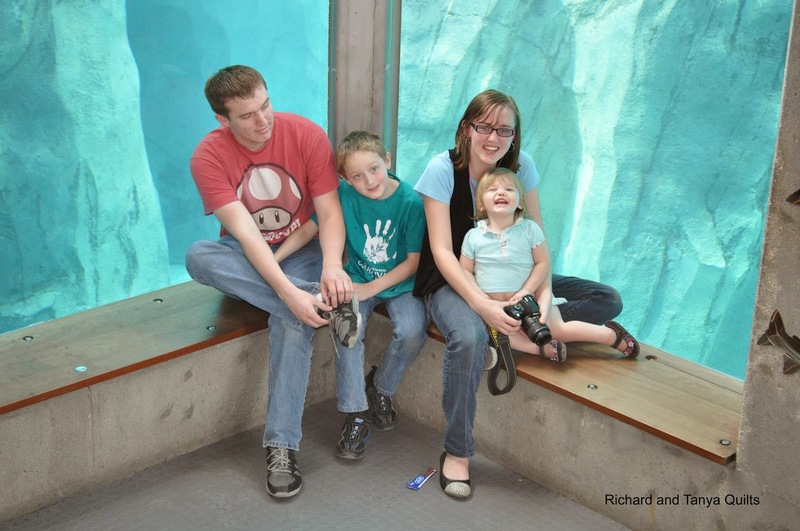 We can never seem to get all 4 kids to smile or look in the same direction. 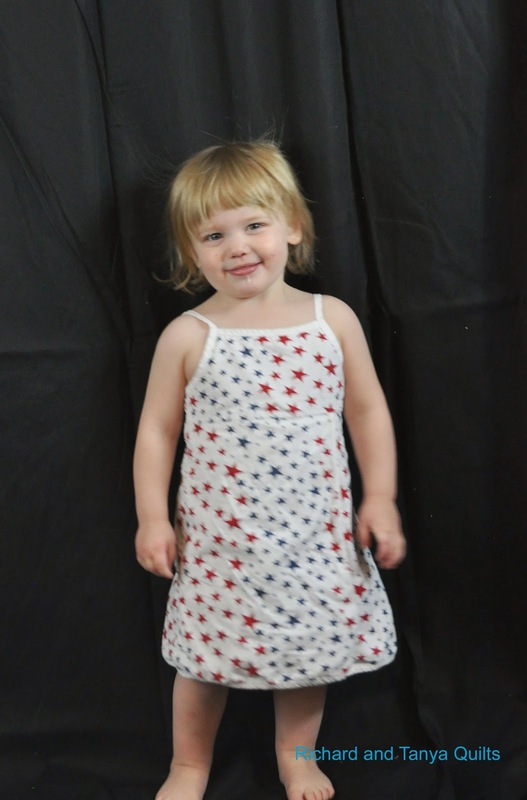 I have been waiting to post these pictures for a couple weeks hoping that I would get the pattern finished. But as luck would have it I am yet to finish it. 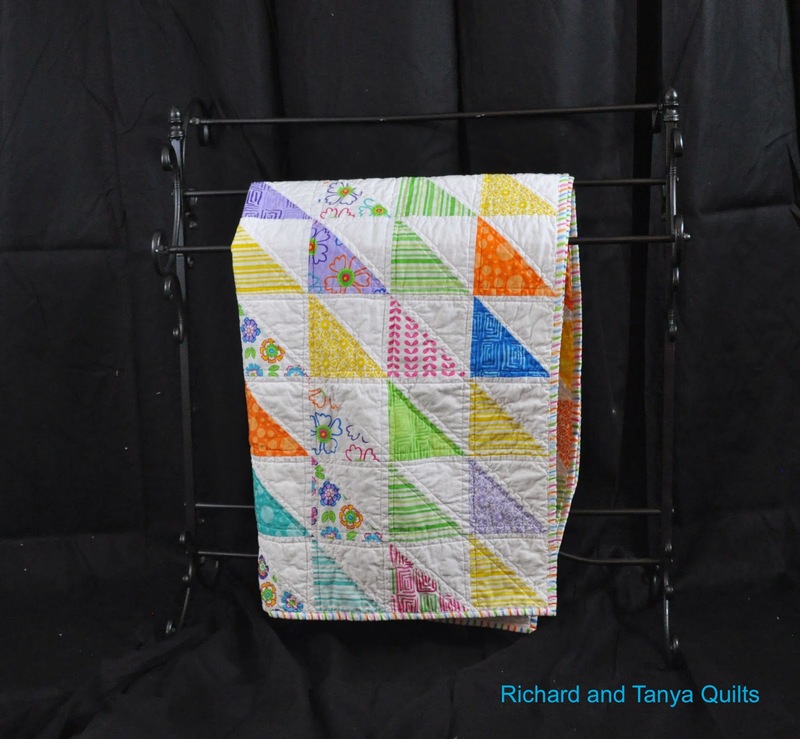 Months ago Tanya wanted to make some HST quilts. 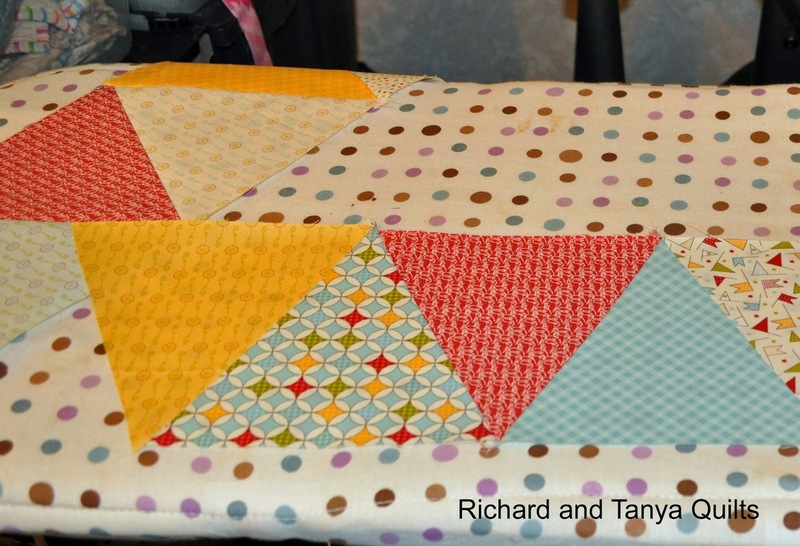 We did Chevron, HST and these pinwheels. 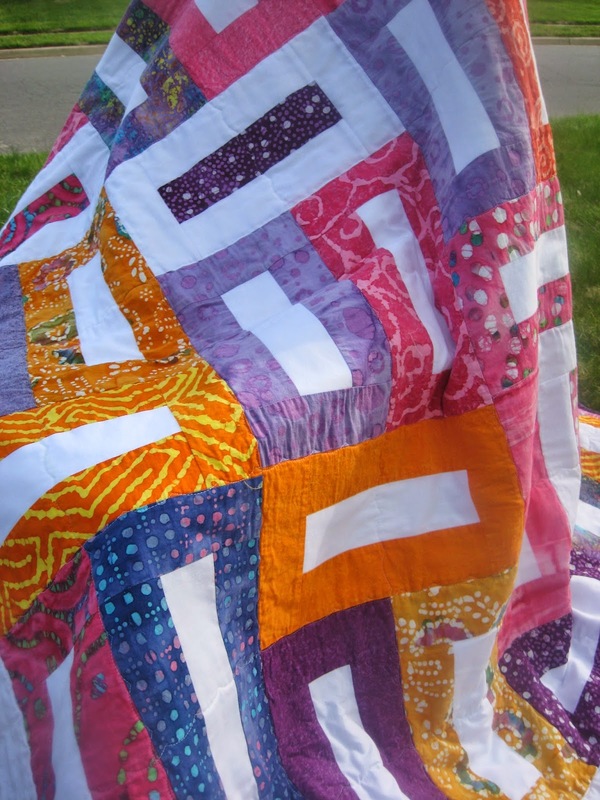 There was 3 of each quilt in the works. 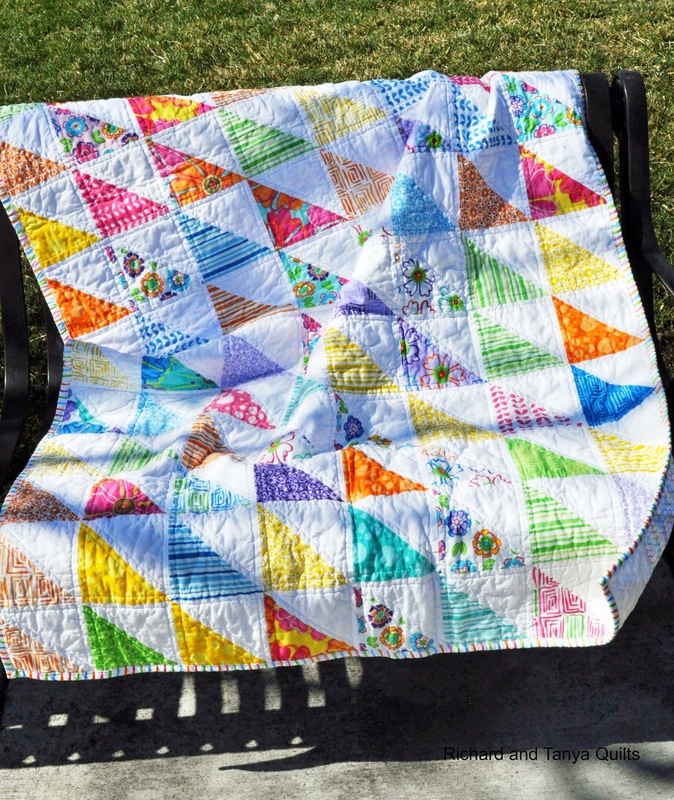 This is the first of the pinwheels to be finished. 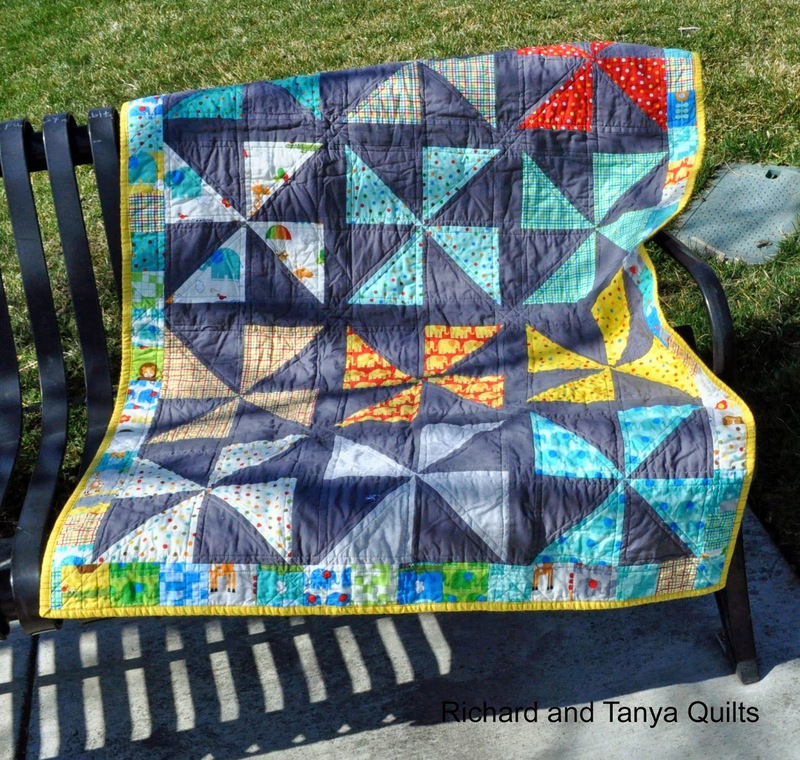 For pictures Tanya took the quilt to the park. As you know I love lizards. 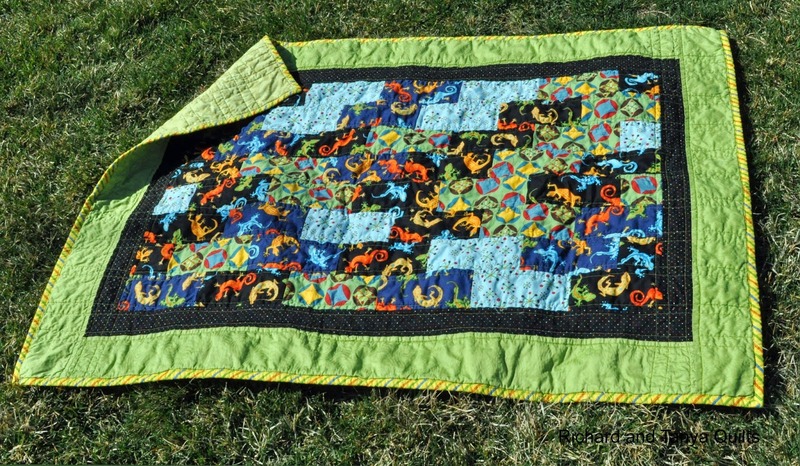 I am not sure how many in the past I have made, but I will make dozens going forward because every quilt needs a lizard right? 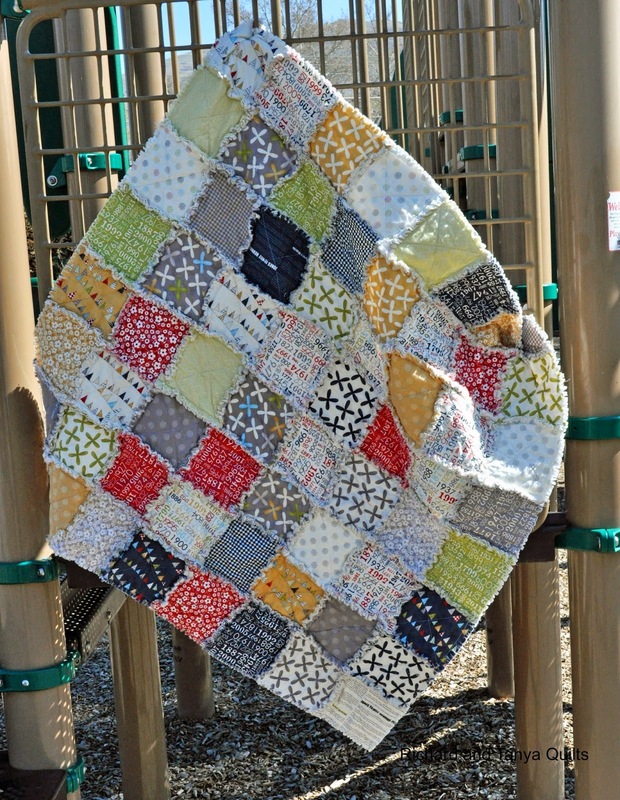 The quilt pictures at the park, I think turned out pretty fantastic. 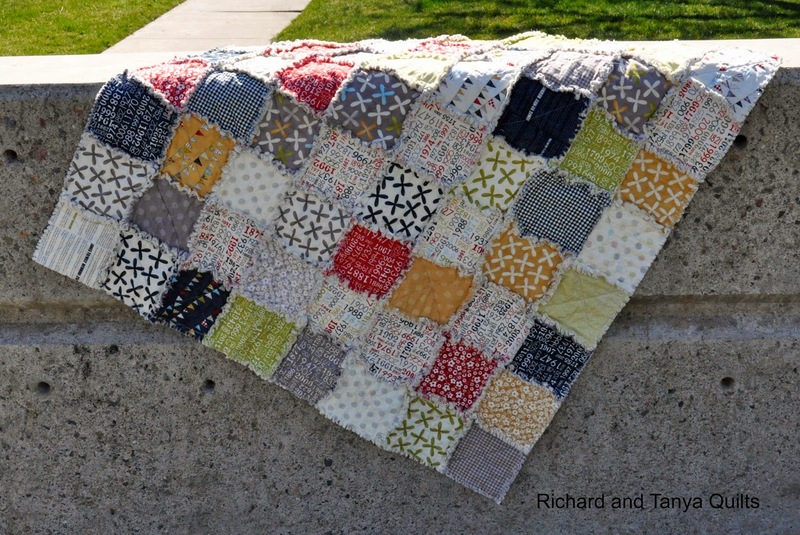 I love the scrappy binding and the scrappy look of the piecing of the quilt. This is my favorite so far. Tanya will find this funny, but I don't like the above picture. Not because it looks bad, but because its sideways. 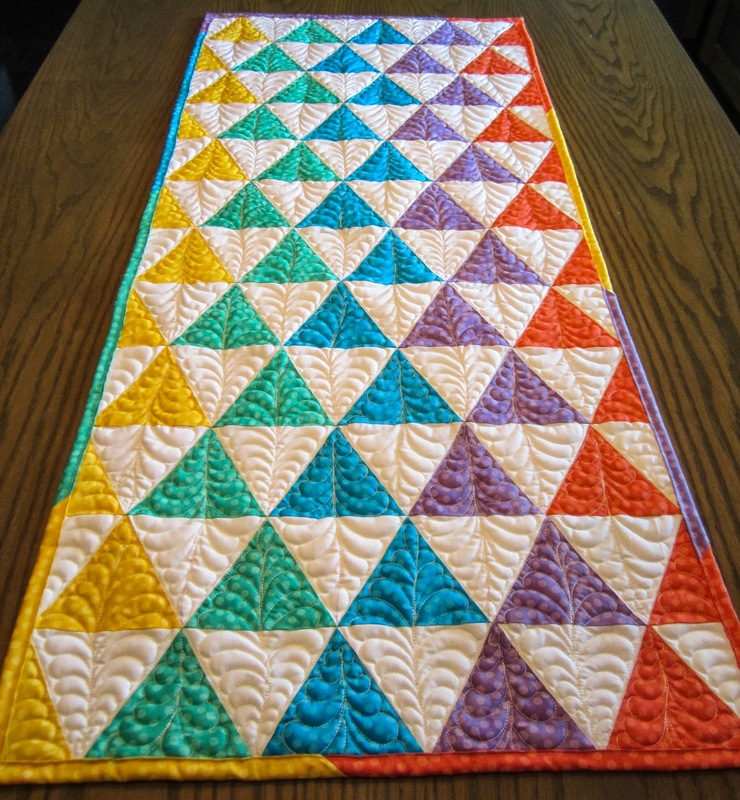 Making the quilts I get pretty set in my brain what is the top and the bottom and this picture is on its side. I believe the left side is top if memory serves. Speaking of going the wrong way this one is upside down, but I like it better this way. Any way so maybe my considerations of top and bottom need to change. 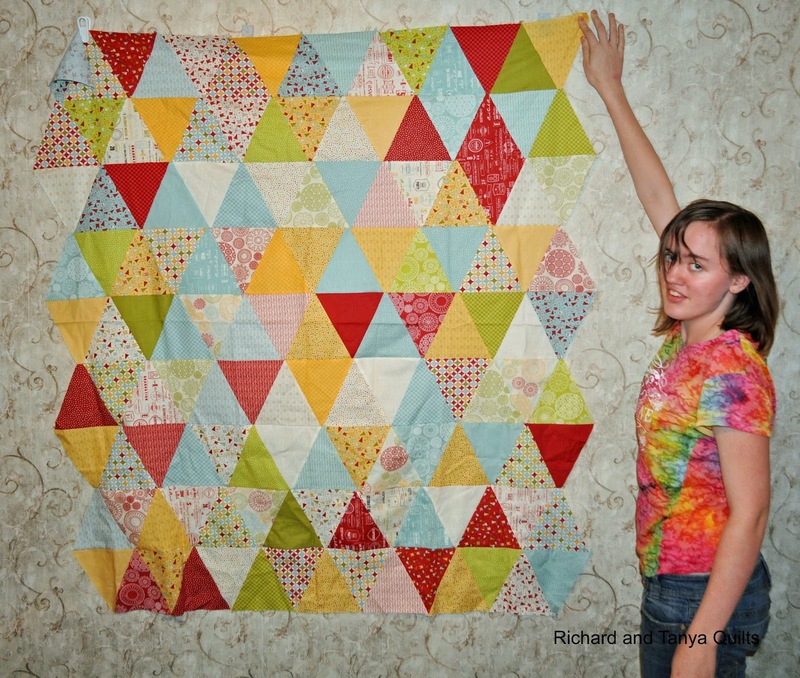 Side note from Tanya, if I took the last picture the other direction, the piecing wouldn't show up. 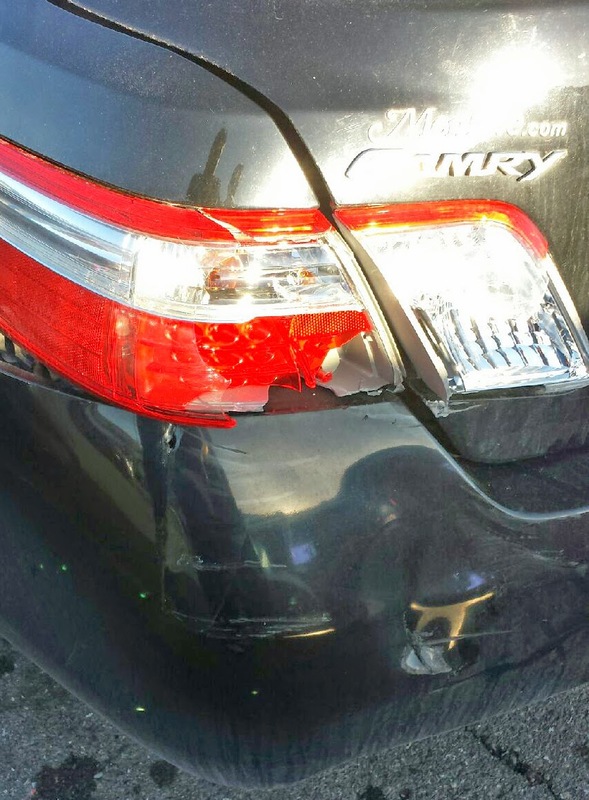 And sadly my last show off for the week is I got distracted and backed up at the grocery store at the same time some one else did and I broke my poor car. I just paid it off last month and now I broke it lol. 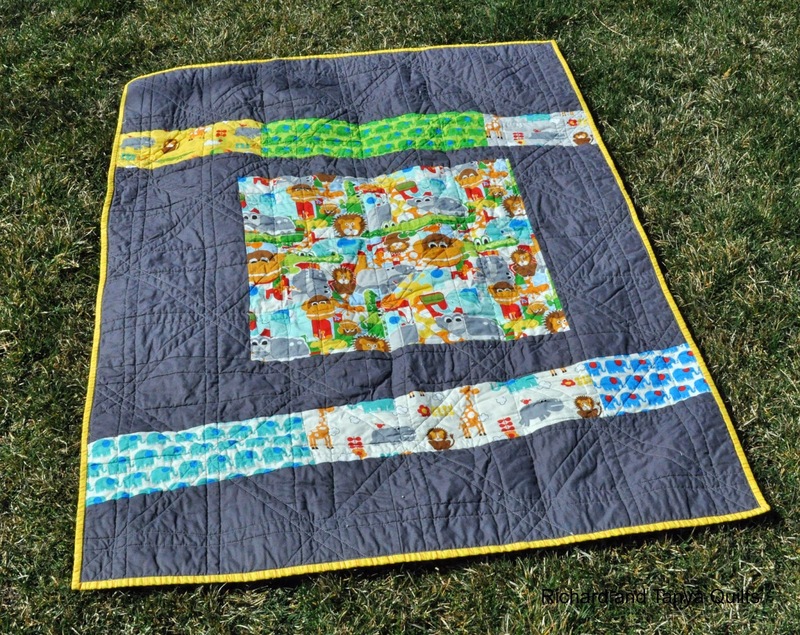 Now today's post is not about that quilt or even the offer but the amazing response I had too it. 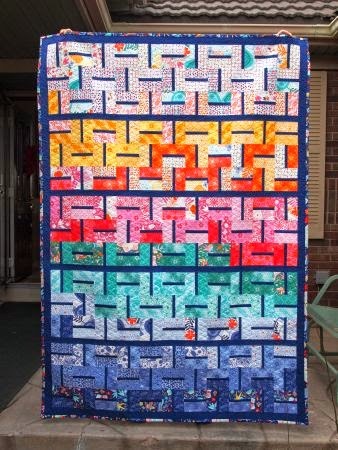 I had I think 8 people in a row all go make nice comments on Craftsy and then left me a message on the post asking for their free pattern. Great I hit reply and to my utter amazement almost every single person that took the time to post a comment was a no reply blogger. The thing that amazes me is how many people that comment are no reply bloggers and may not realize that you are one. I will not try to explain how to fix it (as many posts in the past have explained how to do such) But I want to plead with all of my followers to fix this. 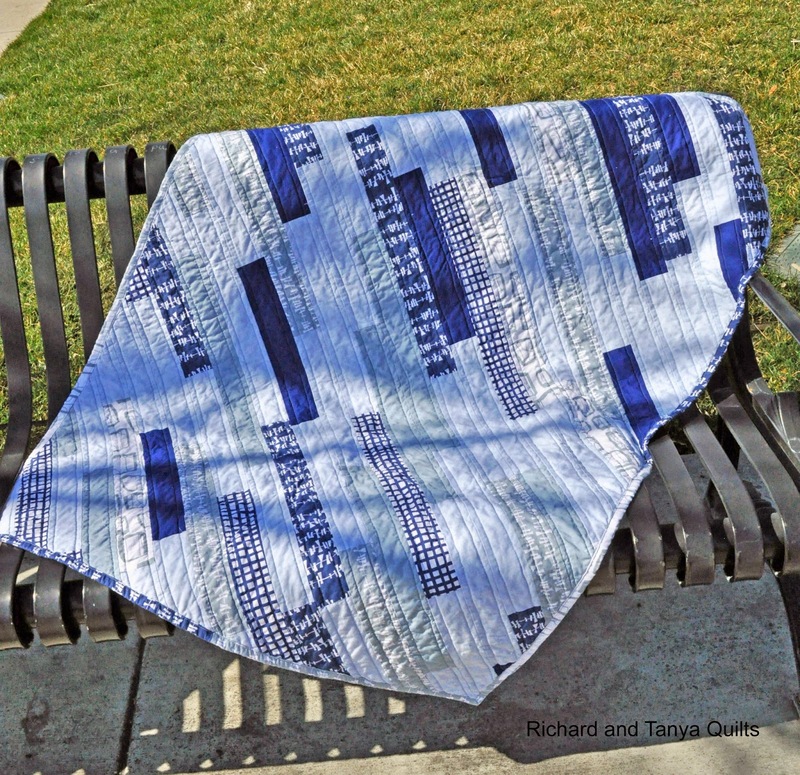 For the 8 or so people that already commented and have not gotten there pattern, it was not that I did not want to give it too you, it is that I can't figure out how to contact you. If you are not sure if you are a no reply blogger please put a comment here and I will reply and tell you that you are not. Of course if you don't hear from me you are. Oh and if you are a no reply blogger and still would like responses to your comments (and you don't want to lose your no reply status, is there a reason to want this?) Please put your email into the comment you can do something like rhealey101(at)gmail(dot)com if you are worried about them web spiders from tracking down your email. 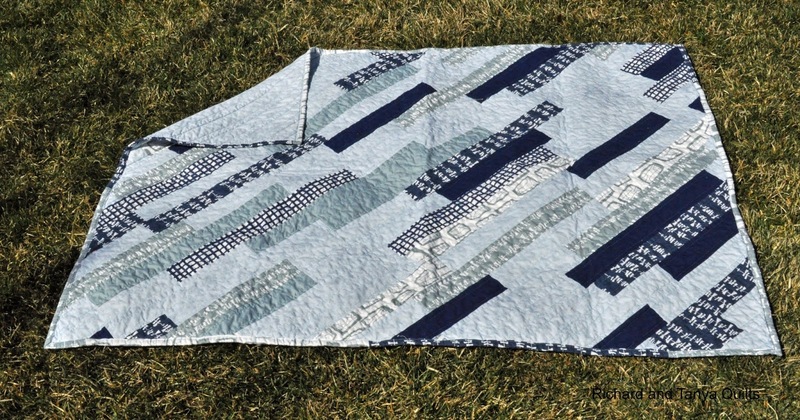 Another HST quilt for our collection. 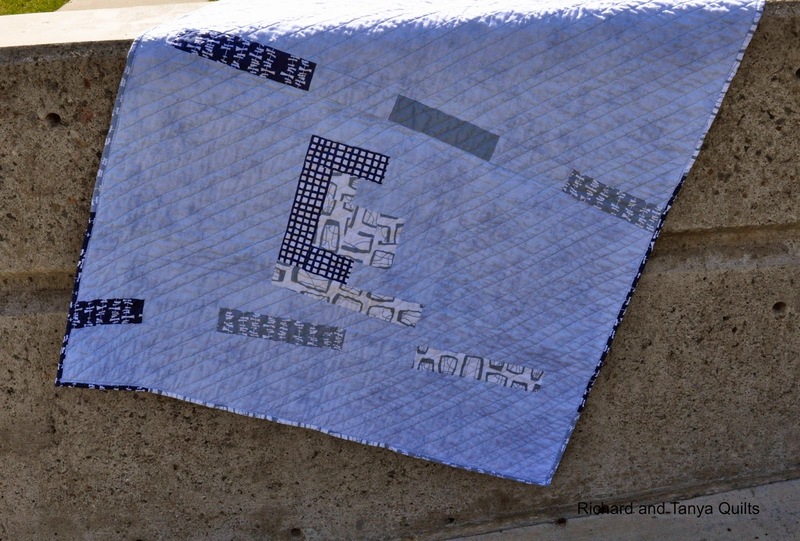 As some may remember we started this HST thing many months back making 3 quilts * 3 fabrics. 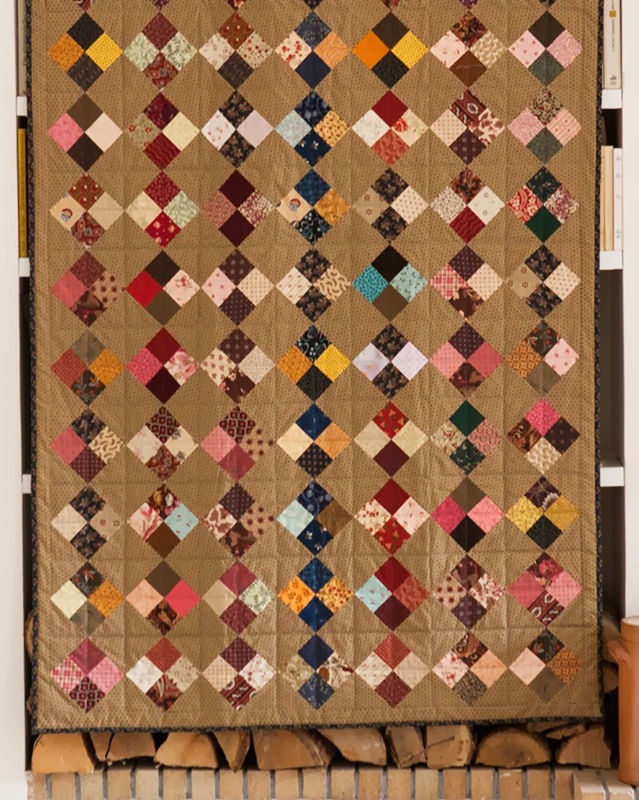 This quilt was the 2nd quilt from the 2nd fabric. 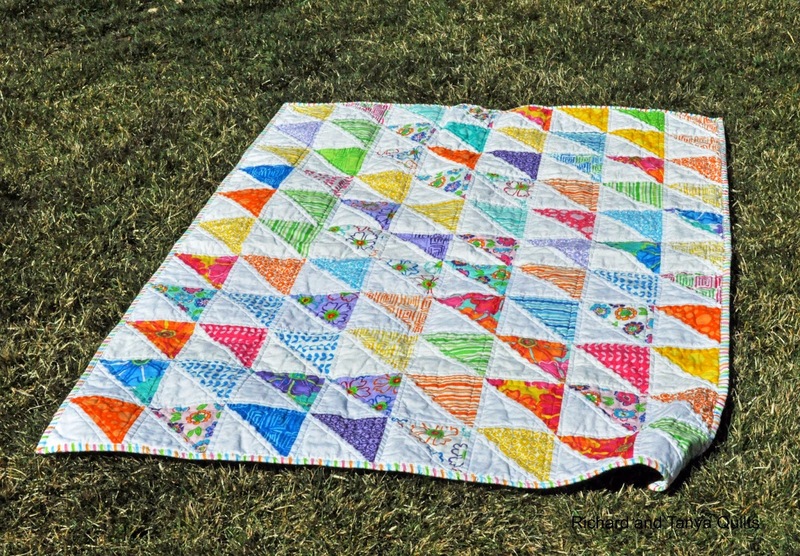 You can find the pattern for this quilt on Craftsy. 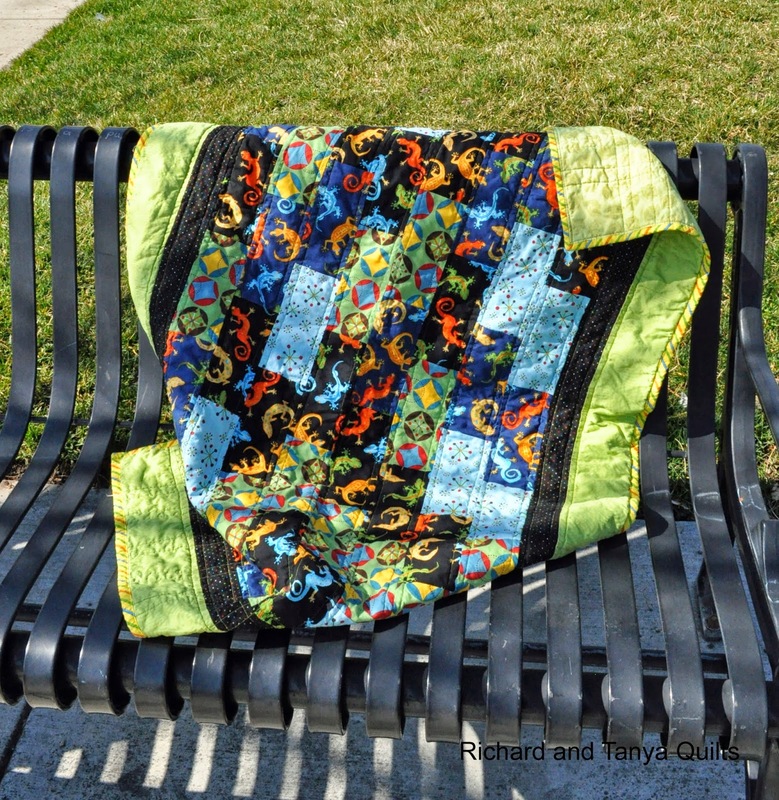 Tanya for these quilt,s took a trip to the park with Julia and took some pictures of quilts while Julia played. Tanya and I are still playing with our pictures. 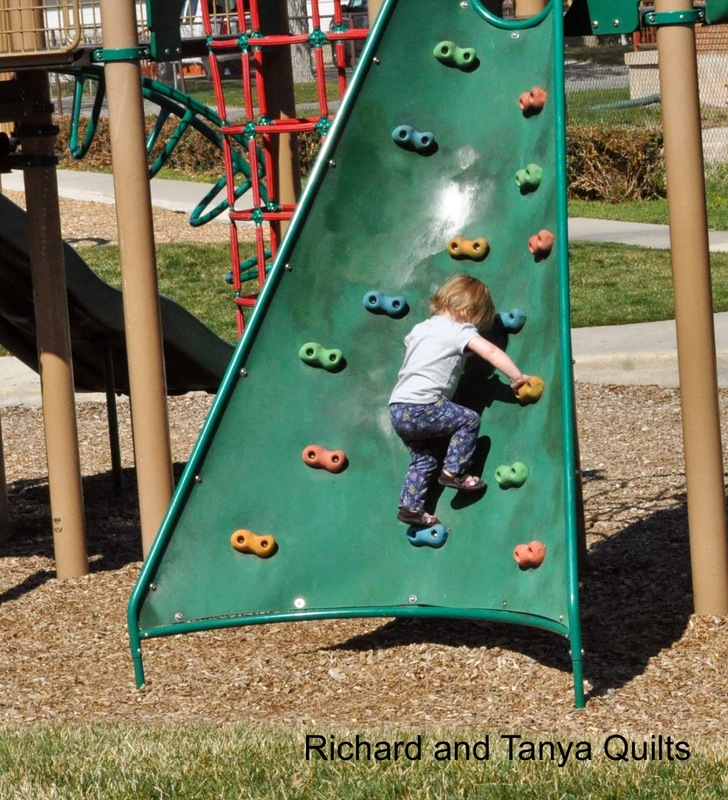 We are happy that its warming up and greening up as outside pictures are great. 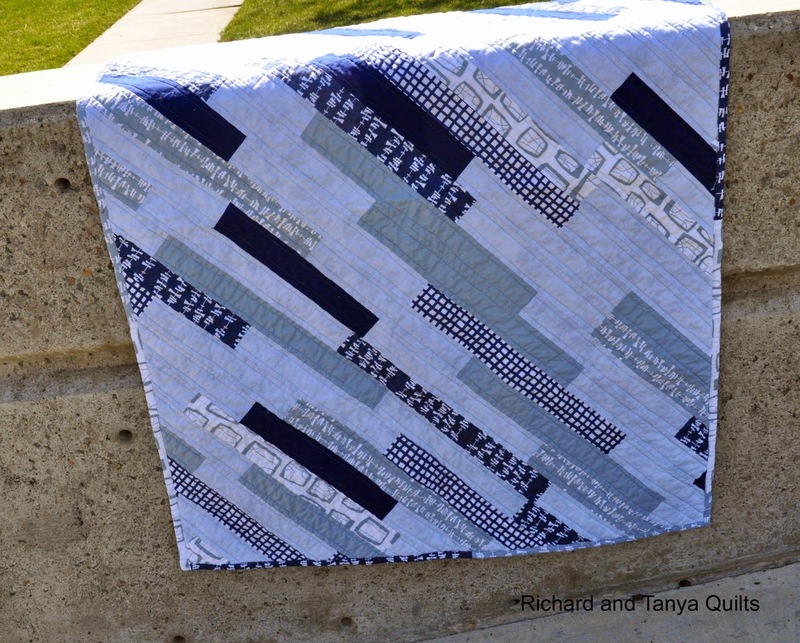 Its funny that as Tanya takes pictures the only flaw I find in them is that the quilt is upside down. 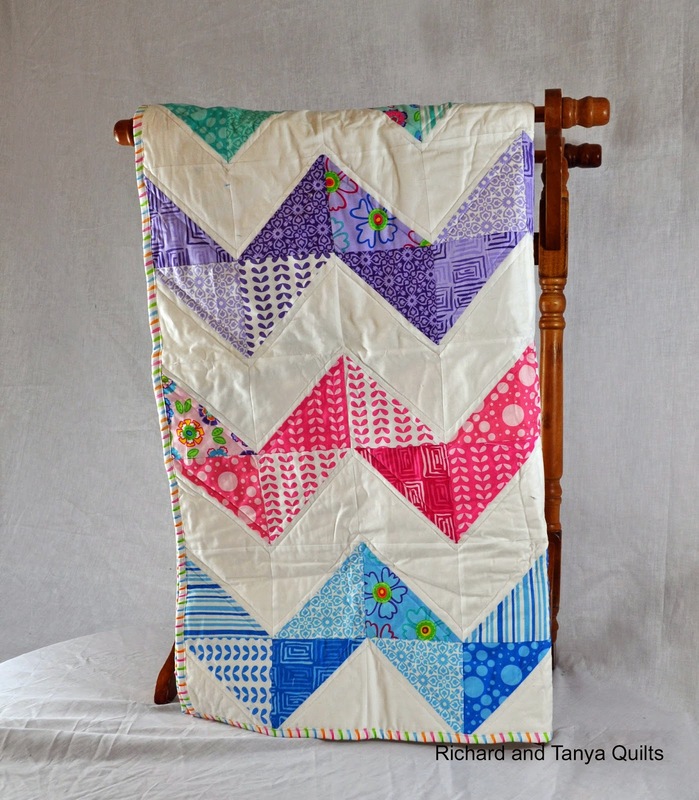 Now how can a non directional quilt be upside down? 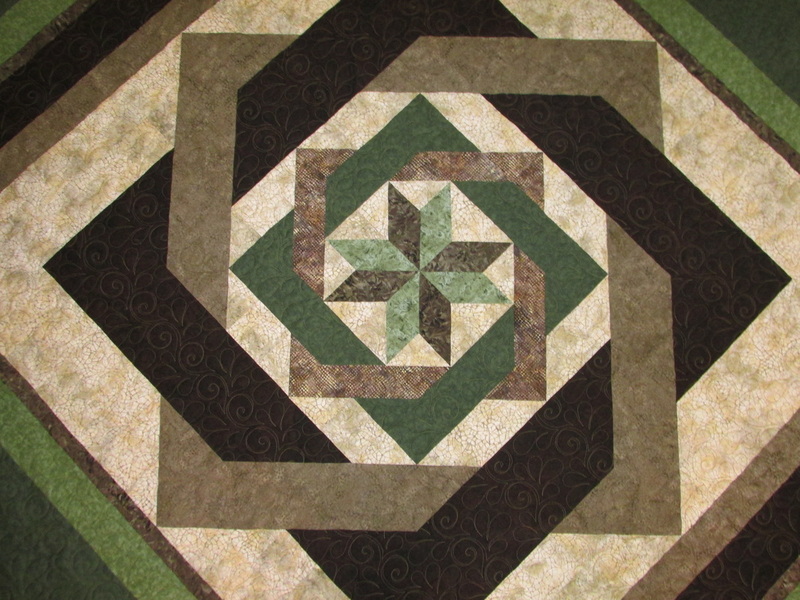 Simple I quilted it and I quilted it going the other direction. So its wrong but for every one else its just fine. 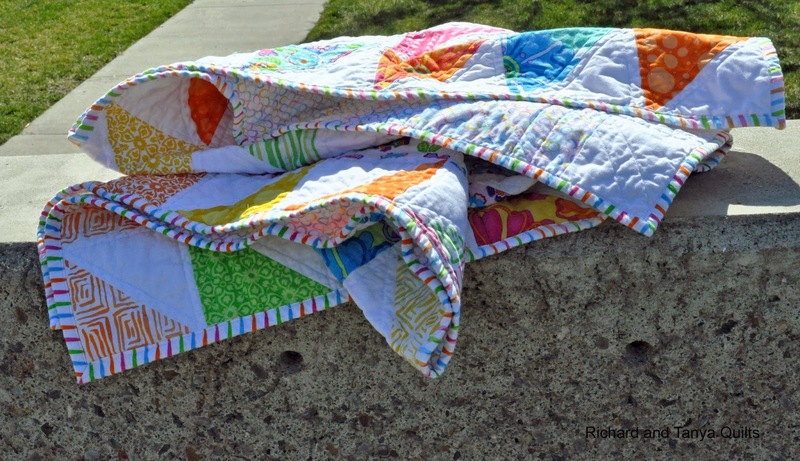 Last of all I like this simple quilt in a pile great picture Tanya. 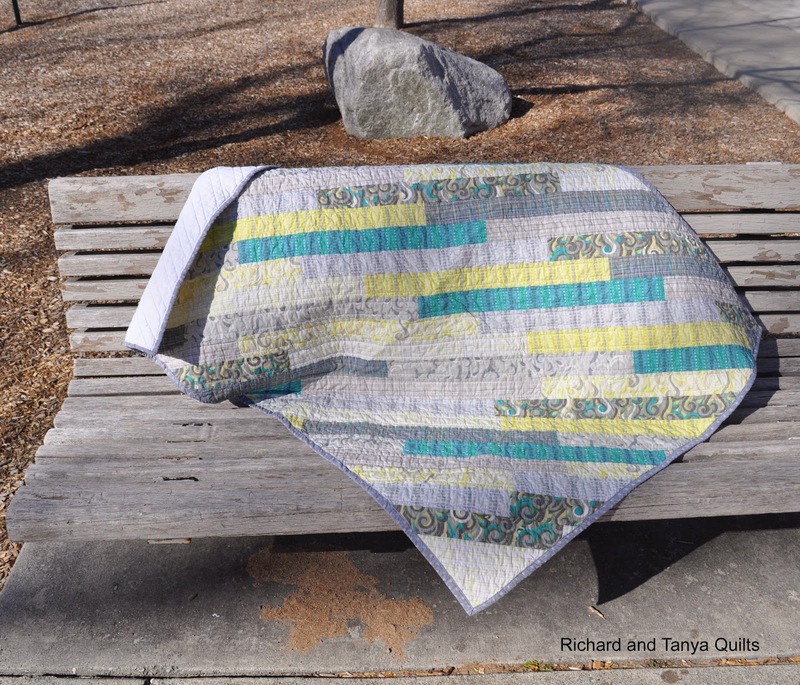 Thank you for taking pictures of the quilts while the sun shines. 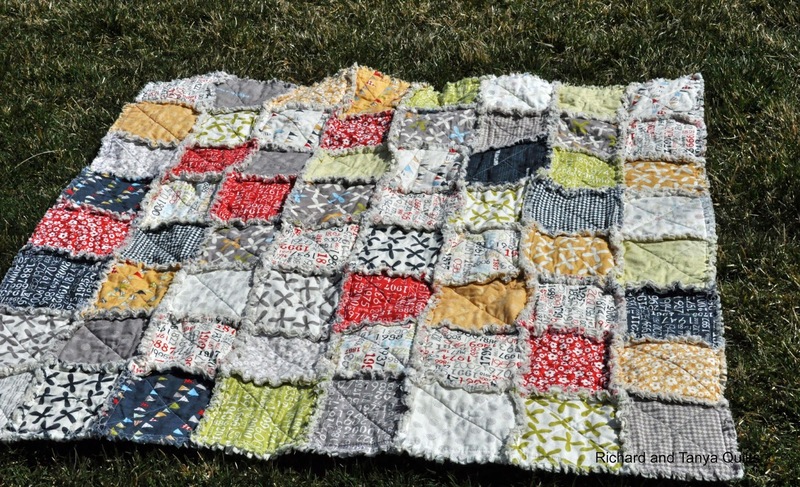 Imagine, yet another rag quilt. 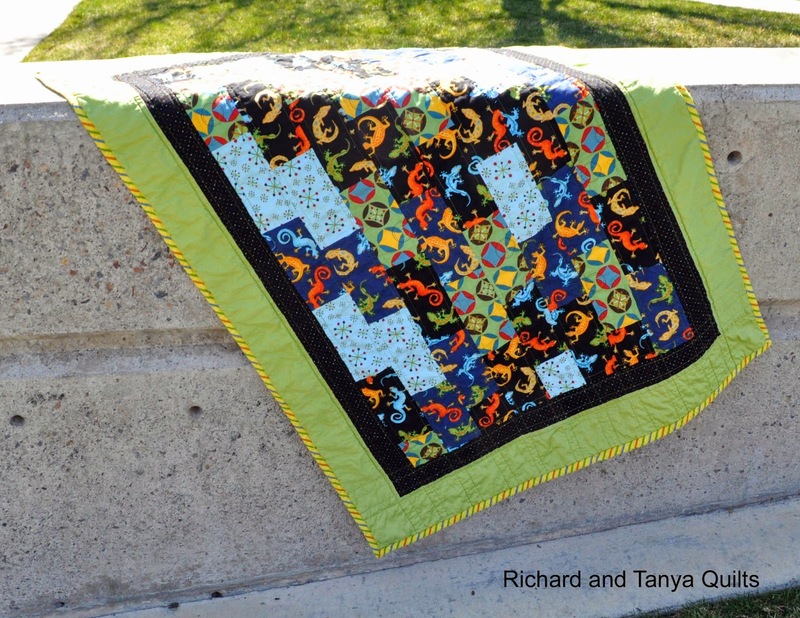 You can find our pattern for it on Craftsy. 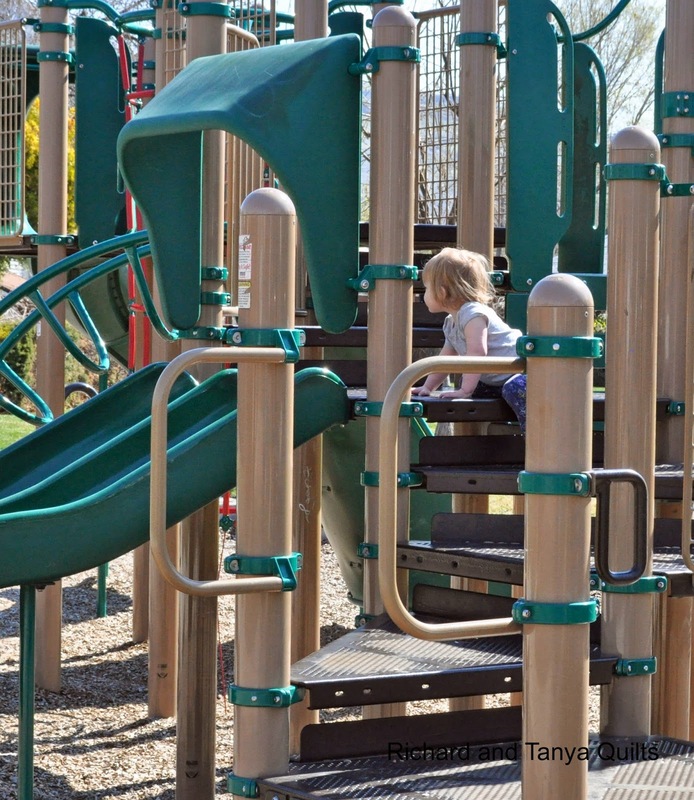 Pictures were taken at park, while Julia played. 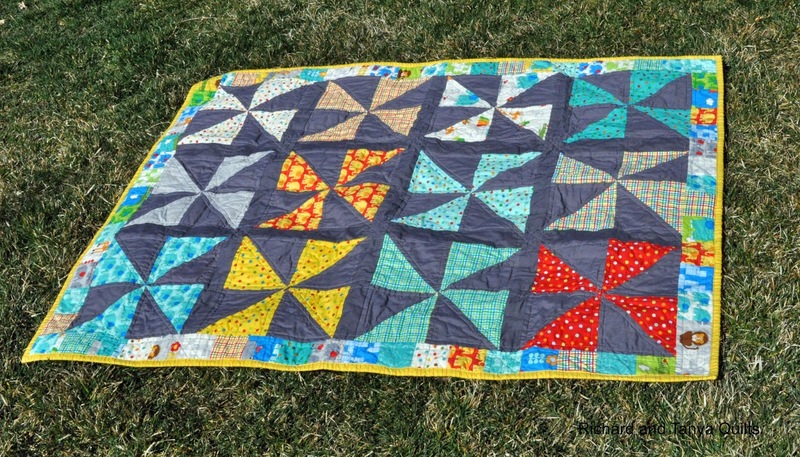 Someone keeps me busy, so not a lot of time for sewing. 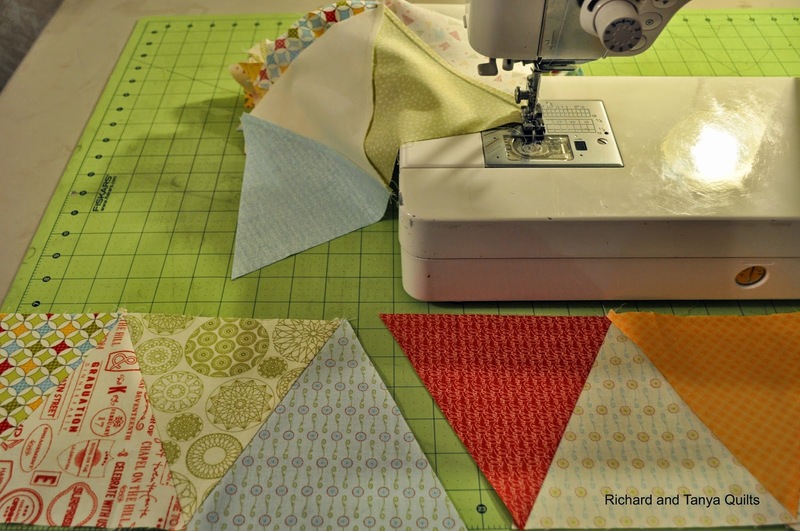 Richard has her older sibling to help keep an eye on her so he is able to sew more. 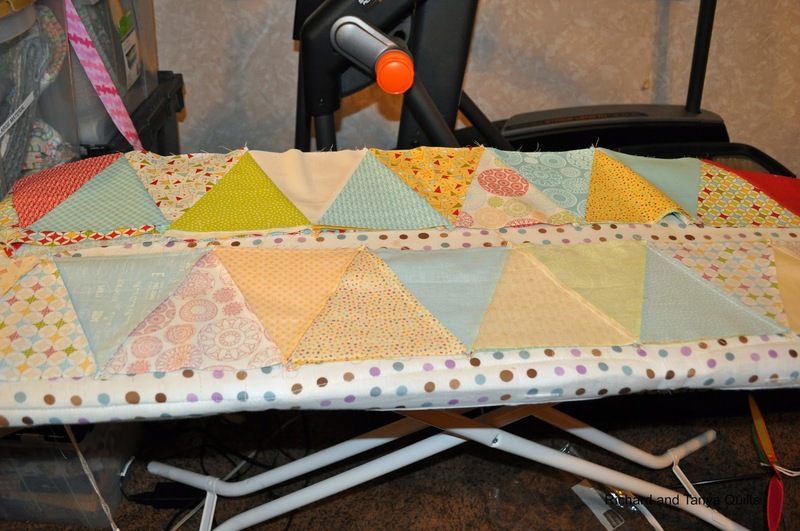 I am not sure why I have always been scared of sewing together triangles. 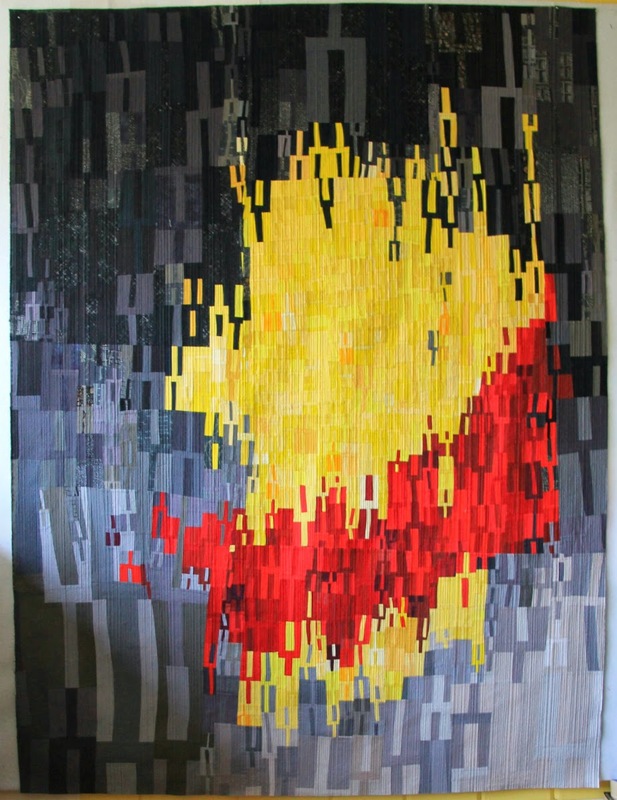 Once I got it out of my mind that I was doing any thing other then sewing straight lines, things got started pretty fast. 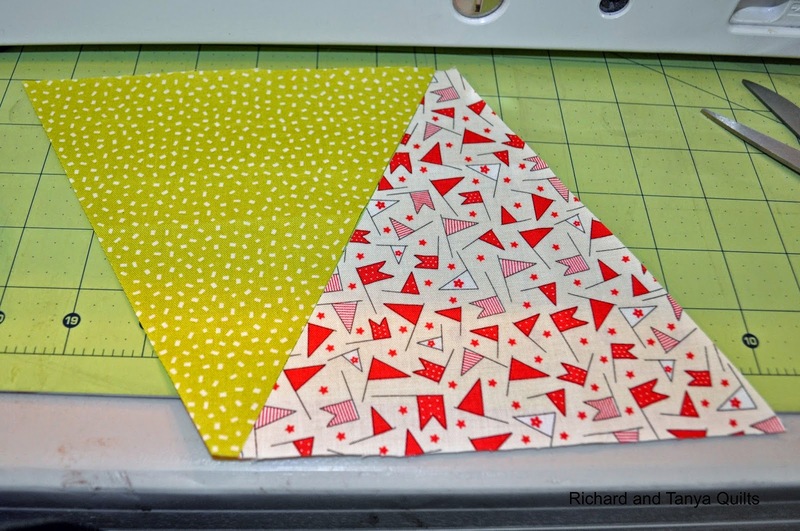 Sewing these triangles were simple. 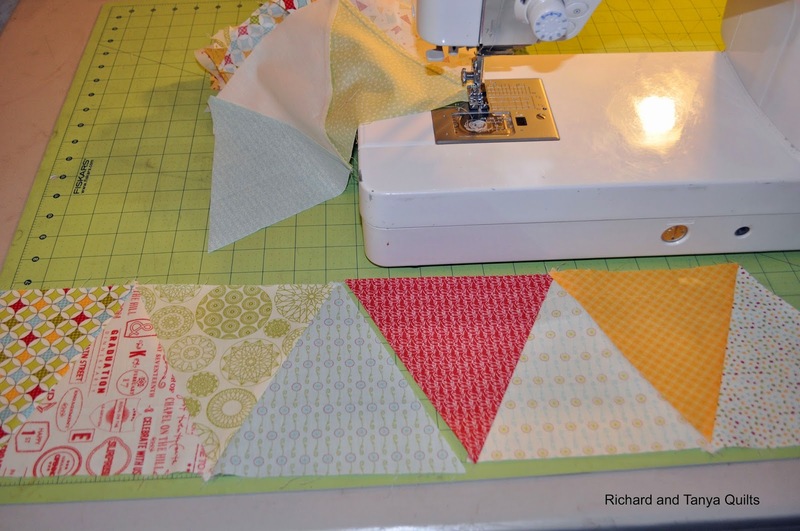 Grab 2 put the together and then sew. I realized after I started that my sloppy cutting was going to hurt me. Good thing for me every thing is on a bias and its willing to stretch to fix my issues. 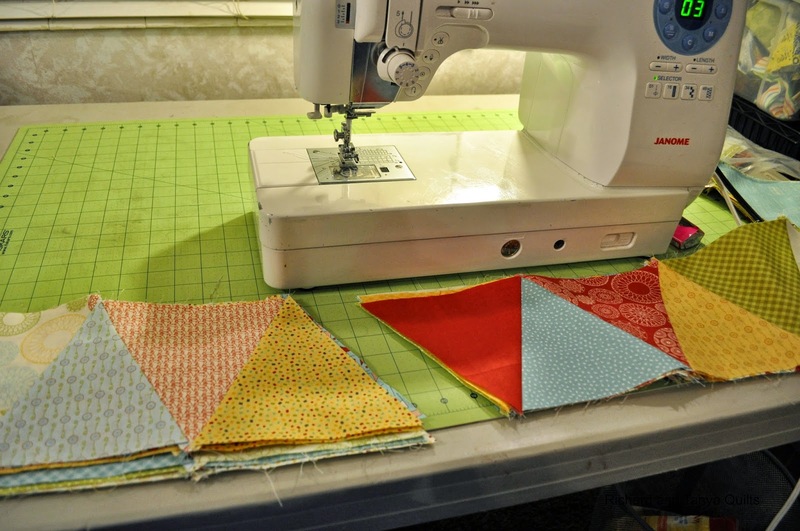 Some are scared of sewing bias. I have long got over that fear. 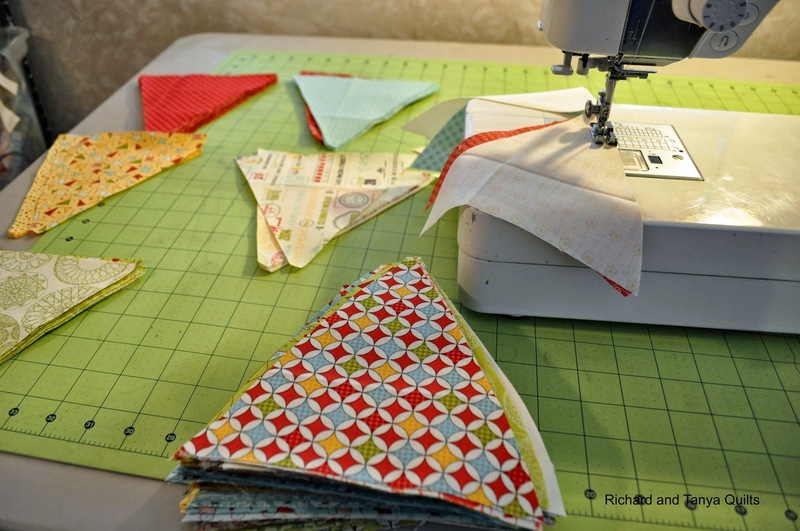 Some say that you must starch the crap out of these triangles to sew them, I did not. 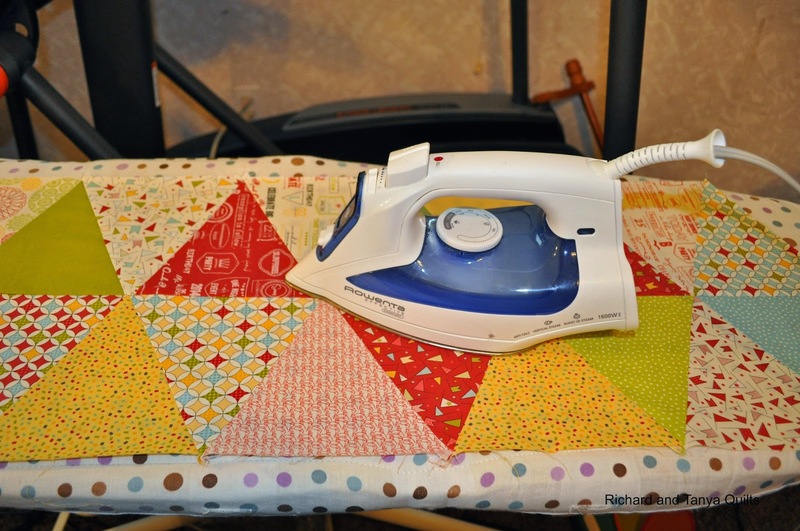 I simply make sure every thing is ironed well and sew them while holding them in place as I sew. 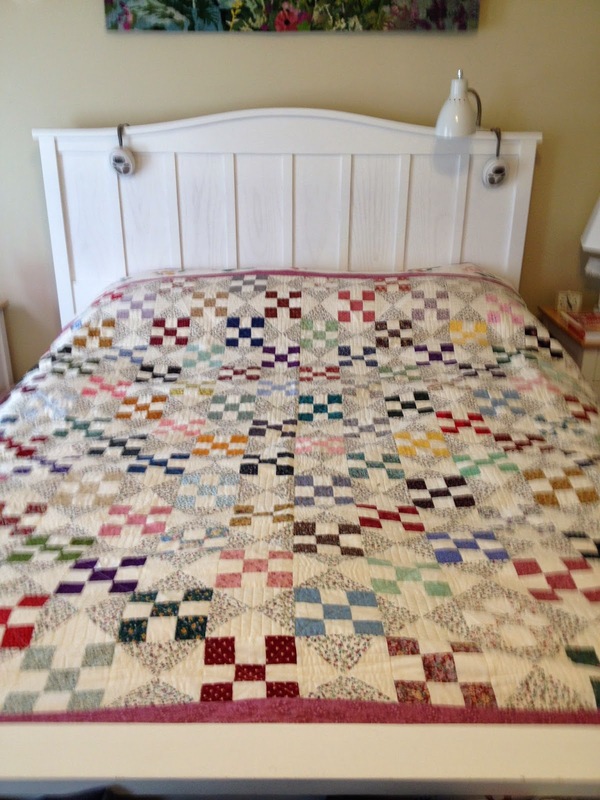 Once I got my 2 sewn together I then sewed the 2's into 4's and then sewed 1 4, 1 2, and 1 pair together (I wanted 7 triangles wide) It all went really well I think, I have been inspired from this quilt. 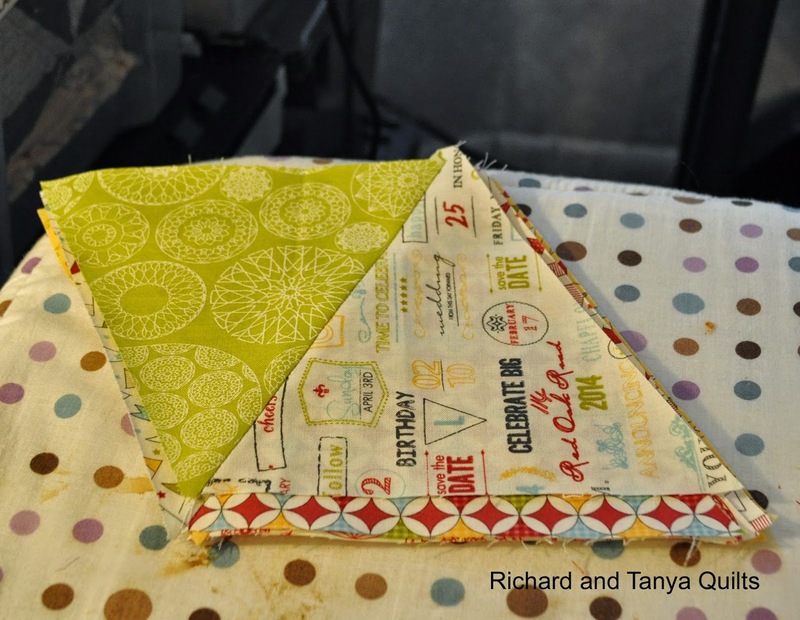 Any way it was fun to sew these triangles and I am going to sew many more in the future. 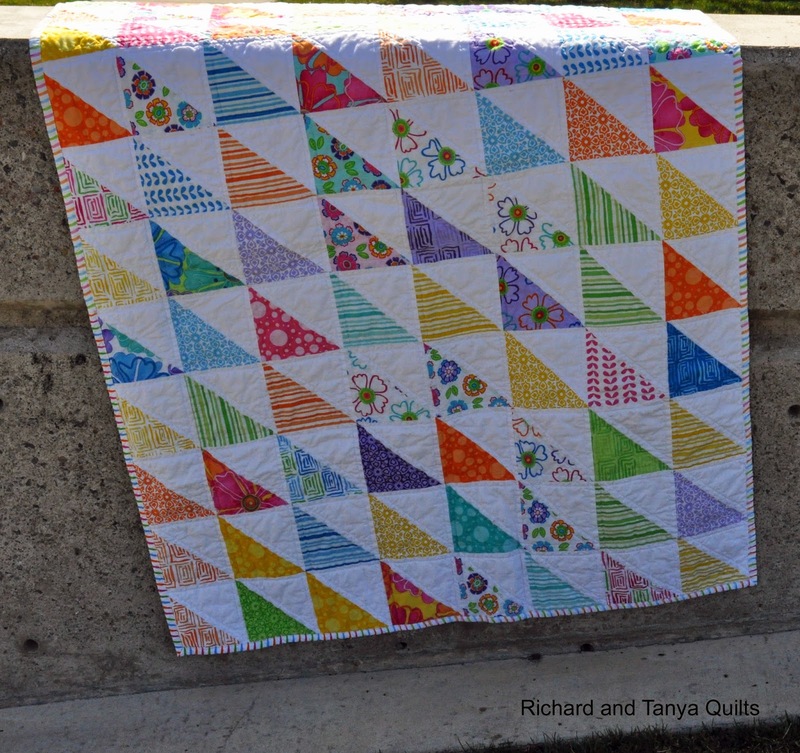 I have had so much fun making these triangles that I sat down with EQ7 and designed out a couple of patterns to make using triangles forming hexies with them. Can't wait to share them with you one day.